Jay O’Connell (NACBT President) Jay O’Connell is the President of O’Connell Car Development, LLC based in New Albany, Ohio. Jay is a racecar engineering consultant, working with Ford Performance on the Ford GT and Mustang GT4 race cars, and also designs and builds suspension kits for the Porsche aftermarket. Jay graduated from Cornell University with a degree in Mechanical Engineering before spending 18 years in product development at Ford Motor Company in Dearborn, Michigan, and 10 years as Technical Director at Rahal Letterman Lanigan Racing in Hilliard, Ohio. Jay’s daughter Bridget is a Pre-Professional dancer in the progressive division and has been dancing with the NABC for 8 years including 6 years in the Nutcracker production. Jay and his wife Sherry accompanied Bridget and seven other dancers to the YAGP semi-finals in New York City in 2014. Jay lives in New Albany near downtown where he, Sherry, Bridget, and their two black labs enjoy biking and walking the New Albany trails. Val Robinson (NACBT Secretary) Val Robinson was appointed to the board in 2015, and will serve as secretary for the 2017-2018 season. Born in Scotland, Val and her husband, Ronnie, enjoyed living internationally before landing in New Albany, Ohio in 2002. She played international field hockey for Scotland, and whilst living in Hong Kong for 7 years, captained their national team, traveling to Singapore and Australia in this role. Val, a registered nurse, oversaw a medical clinic in Hong Kong before relocating to Boston in 1998 for a new career opportunity for her husband. She has now been living in New Albany for 15 years. Val and her husband proudly became United States citizens in 2008. Val is an active volunteer in the community. She has 2 daughters. Her eldest, Hannah, will be attending CWRU this fall and will major in nursing. Hannah danced at NABC for four years before giving it up for her love of soccer. Lauren will start her junior year at NAHS & is currently enrolled in the pre pro trainee program at NABC. She has danced at the studio for 13 years. In her spare time, Val enjoys playing tennis, reading and spending time with family and friends. Siobhan Twomey (NACBT Treasurer) In 2016, the New Albany Children’s Ballet Theatre welcomed Siobhán Twomey to the board. Siobhán was born and grew up in Dublin, Ireland before relocating to Ohio in July of 2005. She has extensive professional experience in the field of accounting, and has performed public accounting supporting a wide range of industries with services including audit, tax and management consulting. She currently directs accounting and business organizations for small and medium sized businesses. Siobhán is married to Maurice Twomey, who is in finance, and both are the busy parents of three young children, Tara, age 8, Blathnaid, age 3, and Saoirse, age 2, all of whom live in New Albany. Tara Twomey is a 4A dancer with New Albany Children’s Ballet Theatre, and Blathnaid is in the Children’s Ballet program at the New Albany Ballet Company. Siobhán is passionate about all the arts; she enjoys Catco performances for children and the Broadway in Columbus series. She is also looking forward to the summer series of Shakespeare in the Park. In her free time, Siobhán enjoys yoga, baking, reading, walking, and cycling with her family. Deron Nanchuk (NACBT Voting Member) is a Strategic Account Manager for Gexpro/Rexel headquartered out of Paris, France. Since graduating from Allegheny College in Meadville, PA and getting his MBA from Robert Morris University, Deron has been part of leading sales and P&L efforts for 3 companies in the electrical distribution industry. Deron relocated to Columbus in 2002 and is happy to call Columbus home even though he follows the professional sports teams from his roots in Pittsburgh, PA. Deron has three daughters, and two of them are very active young ballerinas at NABC. His middle daughter Kenleigh (age 7) has been dancing with NABC since she was 2 as has his youngest daughter Berklee (age 4). Deron and his wife Amber live in Westerville and enjoy traveling and spending time together as a family. Tara Miller (NACBT Artistic Director) a native of Columbus, Ohio, began training in dance at age three. She studied ballet, tap and jazz throughout her childhood; she added modern dance with Susan Van Pelt upon making a decision to audition into a college dance program. While a youth dancer, she also began assistant teaching in children’s division classes. In 1994, Tara was accepted into the top ranked dance department at the Ohio State University. While obtaining her Bachelors in Arts, she trained under Melanie Bales, Susan Hadley, Karen Eliot, Victoria Uris, and Bebe Miller. In 1995, she attended the Paul Taylor Summer Intensive in New York City. Following her love of teaching, she began her teaching career with the Columbus Youth Ballet. She served as the children’s division ballet teacher as well as the modern teacher and choreographer for four years under the direction of Shir Lee Wu. While a part of this faculty she also became a rehearsal director for the Nutcracker as well as set several modern pieces in the pre-professional company. After graduating with honors in 1997 from the Ohio State University, Tara attended the Chautauqua Ballet’s teacher intensive under the direction of both Jean Pierre Bonnefoux, former principal dancer with the New York City Ballet, and Patricia McBride, former prima ballerina with the New York City Ballet. It was upon completing that intensive that her decision to focus on teaching and not performing was made, and at that time, she set out to create her own children’s ballet syllabus that would be implemented at several ballet schools across the city. In 1999, Tara, along with co-founder Alisa Bernard, opened the New Albany Ballet Company. Her dream of creating the “ideal dance school” was well received in the New Albany community. The school has grown to include over 650 students ranging in age from toddlers to adults. In 2002, Tara became sole owner of the school. This dance school has established itself as one of the premier ballet programs in the city. Her commitment to hire a professional faculty has allowed the school to provide the best ballet, tap, jazz, and modern training. 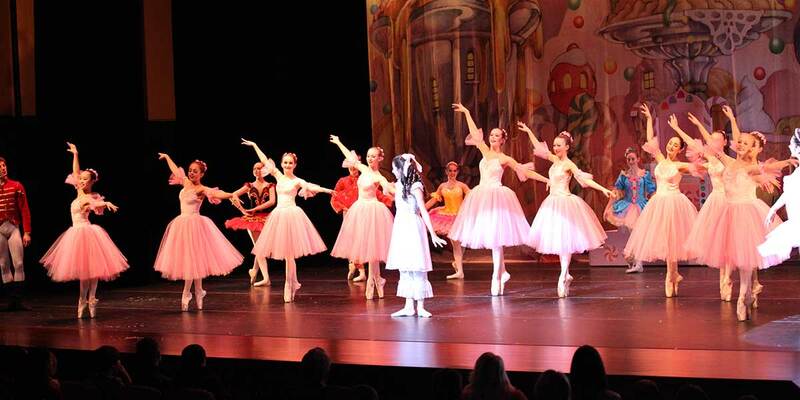 The New Albany Ballet Company provides each student the best dance training, the most professional performance experience, and the opportunity to train in one of the finest dance facilities in the State. In 2003 Tara founded the New Albany Children’s Ballet Theatre, a not for profit 501c3 youth performance company. Her goal was to create a youth performing company that would stage professional repertoire and ballet performances while keeping the burden of the cost off of its dancers. The Theatre has had successful donation campaigns, including hosting its own Father Daughter Ball, a sold-out success each year. NACBT has received generous donations from the Wexner family, the Hinson Family Trust, Lexus, Schottenstein Homes, and various other community business and organizations. Tara, along with her husband Darren and two children Madeline and Isabella, reside in New Albany. For more information about the Board of Directors, or if you have an interest in serving as part of the Board, please contact Tara Miller – tara@newalbanyballet.com.